My laptop is driving me mad. It does not share my sense of urgency and as such it is being ridiculously slow. This evening, in a bid to stop me throwing the offending item out of the window of my second floor flat – FFOMC patiently pointed out that I do no maintenance or “clean-ups” to improve my laptops performance. I have absolutely no idea what this means. However, I am reliably informed that my laptop needs to be de-fraggled. This advice confused me a little. 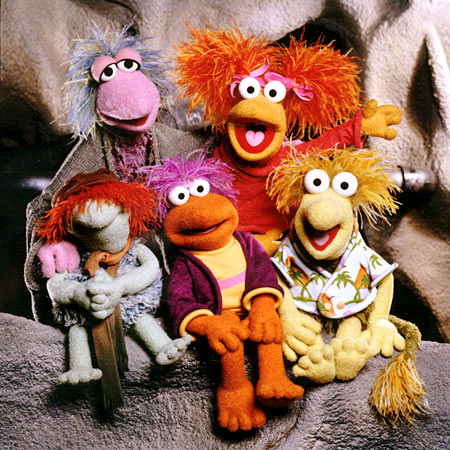 My knowledge of the Fraggles stems back to my childhood and as I recall, Fraggle Rock was a based in a fairly complex world featuring different species coexisting in a fictional land. It was clearly allegorical and raised issues about society, identity, prejudice and conflict resolution. The Fraggles share their home in Fraggle Rock with the tiny Doozers and the giant Gorgs. My memories are a little fuzzy but I do vaguely remember some good natured mischievousness – although the “good natured” part may have depended on which species you were personally backing. The overall concept of the show does not sound entirely unlike my laptop. Beneath its battered maroon case: applications, network drives and various programs, all coexist in an uneasy truce of sorts. But as is the case in all environments playing host to multiple species – conflict is inevitable and never far from the surface. Ideally I want all these aspects of the virtual life of my laptop to operate effectively and for all systems to function and flourish in perfect harmony. But that is not always the case. Apparently as my laptop flickers to life, each time I start it up, all of these systems compete for supremacy. This is causing my laptop to be extremely slow and evidently hampering its performance. But the challenge is to work out what systems to remove? FFOMC isn’t touching this problem with a bargepole. Maybe it is time for a de-fraggle – I might miss Red and Boober – but at least the Doozers and Gorgs may stand a chance without them.